****Warning**** For anyone who has loved and lost a dog, this video will bring you to tears. It certainly did for me. But I couldn’t think of a more fitting 1000th post for this blog – a tribute to the human/dog bond. This short film is about Denali, photographer/cinematographer Ben Moon’s dog, and their life story together. One of the good things about the Christmas holidays is that there are more family-friendly movies on television. Last night, I was able to watch Hachi: A Dog’s Tale for the first time. This movie, starring Richard Gere, was released in 2009 but didn’t make it to movie theaters in many countries including the USA, as I understand it. 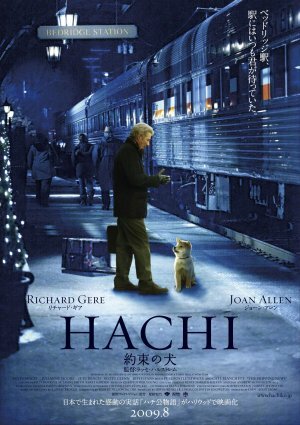 Gere plays a professor who finds Hachi, the Akita pup, on the train platform one night. The puppy had been in transit to an unknown location and the tag was torn off his cage. There is an instant attraction, and Gere’s wife comes around to the fact that the dog and her husband are good for one another. Hachi begins to follow the professor to the train station each day, returning in the late afternoon to meet him for the return trip home. When the professor dies suddenly at work one day from a heart attack, Hachi continues his daily trips to the train station. The loyal dog does this every day for over 10 years, and in the process becomes something of a local celebrity. At the end of the film, we learn that the real Hachikō was born in Ōdate (Japan) in 1923. After the death of his professor/owner in 1925, Hachikō returned to the Shibuya train station the next day and every day after that for the next nine years before passing away in March 1934. His loyalty has been commemorated with a statue at the station. I thoroughly enjoyed this film and recommend it for hiring on DVD. And wherever you are these holidays, I hope that you are enjoying the company and loyalty of your dogs. 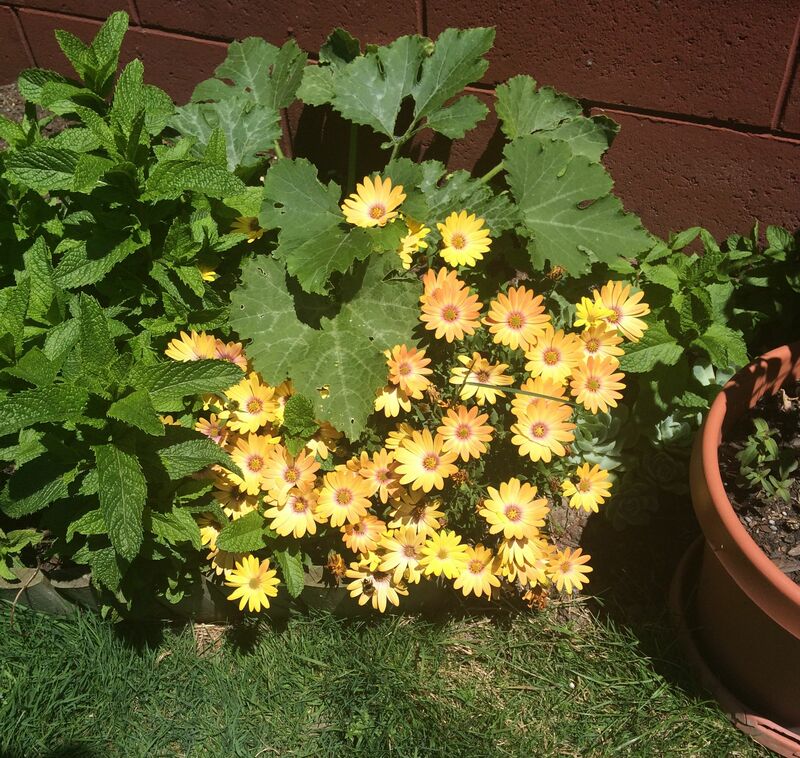 This is my first Christmas and holiday season without Daisy and, although I now have Izzy to nurture and care for, there are many memories I have of summer days and holidays with my special girl. Izzy and Christmas trees are not compatible at this stage in her life; but I’m sure we will find a way of celebrating our first Christmas together. I have just finished reading musician Rick Springfield’s memoir entitled Late, Late at Night. I was a fan during my high school years, had his poster on my wall, and I believe I was even a member of his official fan club. I also remember going to see him in concert (twice). What I discovered in this book is that Springfield is also a dog person. Imagine that – even when much younger – I was attracted to people who liked dogs. There are many comments in Springfield’s memoir about the role of dogs in his early family life and through his career (you might remember that his dog Ron featured on several album covers). Dogs acted as a source of inspiration and consistency in a life where depression was also a key player. In January 2010, Springfield’s dog Gomer passed away. He and his people compiled a bunch of photos of the beloved dog in this tribute on YouTube. 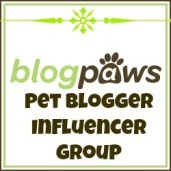 Dog people will ‘get’ this – the need to share and show how great our dog was and how much we miss them. 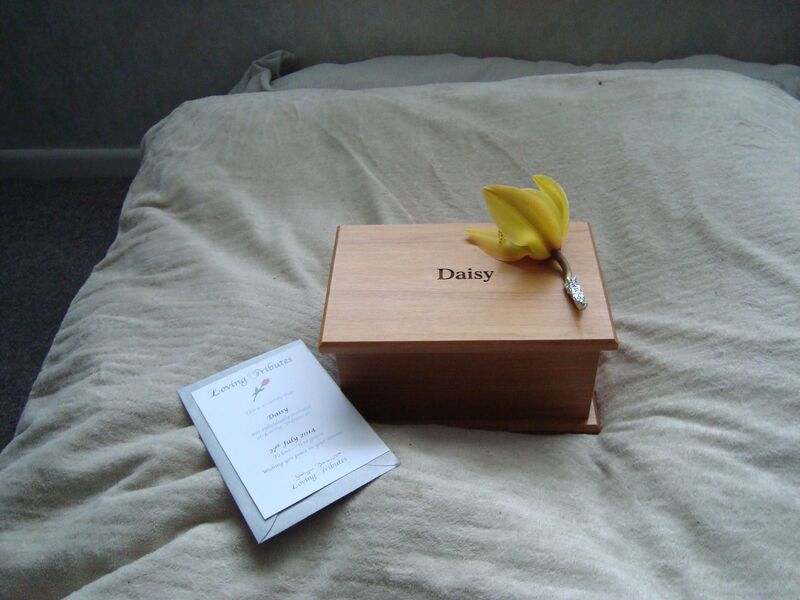 Having lost Daisy so recently, this tribute really resonated with me. I hope you enjoy it. With Daisy’s passing, it is probably not surprising that I reached for a book on grief and – more specifically – a book about grief over the loss of a pet. I purchased this book in 2013, but when I started to read it then, it didn’t feel right. Although aging, Daisy was still in good health and I felt like I was somehow ‘jumping the gun.’ The book went to the bottom of my ‘to read’ pile until last week when I found myself at loose ends in my empty house. One of the biggest things about loss of a pet is, although deep down we know that our dog has a short lifespan, there is nothing that can prepare you for the emotional tidal wave that comes on the day of your dog’s death. So, having a book to turn to for guidance is useful. This book is written in simple terms, with some historic references to cultures and how they view death, dying and the role of pets. 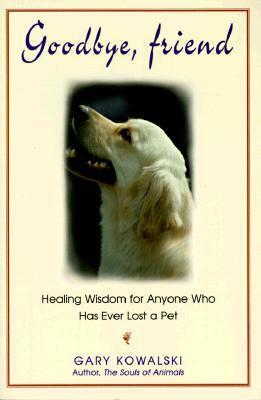 It discusses the decision we face when euthanizing a sick pet, how to deal with children’s grief, understanding the need to care for yourself when grieving, and deciding when it is right to take steps that allow you to move on. Since Kowalski is a clergyman, he has used his background to prepare a section on readings and poems that can be used in a memorial service for a lost pet. I’m glad I had this book handy for when I had to suddenly face the loss of Daisy and, based on my experience, I would recommend to all my readers to have a book about pet grief in your ‘tool box’ for when you have to face the sad occasion of saying goodbye.